I like Totally Target and saving money on the great deals. 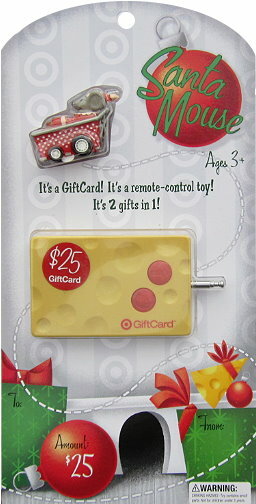 This is the CUTEST gift card i have EVER seen in my life! I would love it!! I follow on FB! Would love to win!! Thanks! Pick me, Pick me! I love me some “Tar-jay”. Cutest gift card ever! Thanks for the chance! I already like Totally Target on facebook.. I like totally target on fb! Would love to win this cute gift card! And of course I like you on fb! OMG!! Soooo cute! Would love to win. Like Totally Target already on Facebook. Thanks. Thanks for a great way to finish last minute shopping. I would be so lucky if I get chosen, love Target! This would really helpe out this year! i want to win!! pick me! Merry Christmas! Liked on FB of course! Would LOVE to win! Thanks!! Love your site and Target! Really want to win one of these giveaways! I love Target and Totally Target! Already like you on FB…your site has helped my family through some pretty tight times. Thank you for all you do & Merry Christmas! I love TT; it’s helped me save a ton of money in these tough times.